Throughout the many journeys I have embarked on in life, climbing has always served as a bedrock and guiding light for me. There are numerous lessons I draw from climbing that I apply to other aspects of my life, from career to relationships. Climbing has not only given me a healthy outlet to the stressful and otherwise mundane life I lead, but made me the better person that I am now. I hope the insights I gained can help you too. 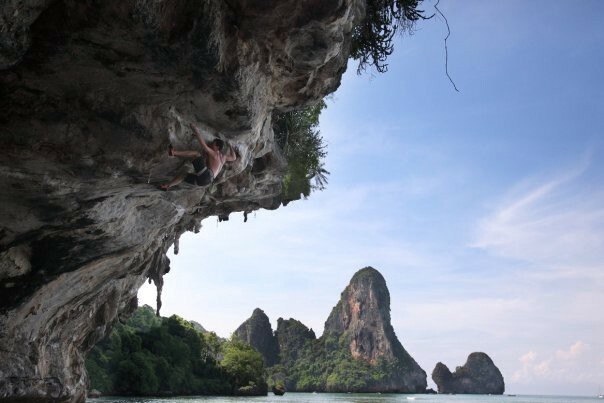 For the uninitiated, climbing is a sport that involves getting from the ground to an elevated position using only your hands and feet to navigate a series of holds placed on a wall. 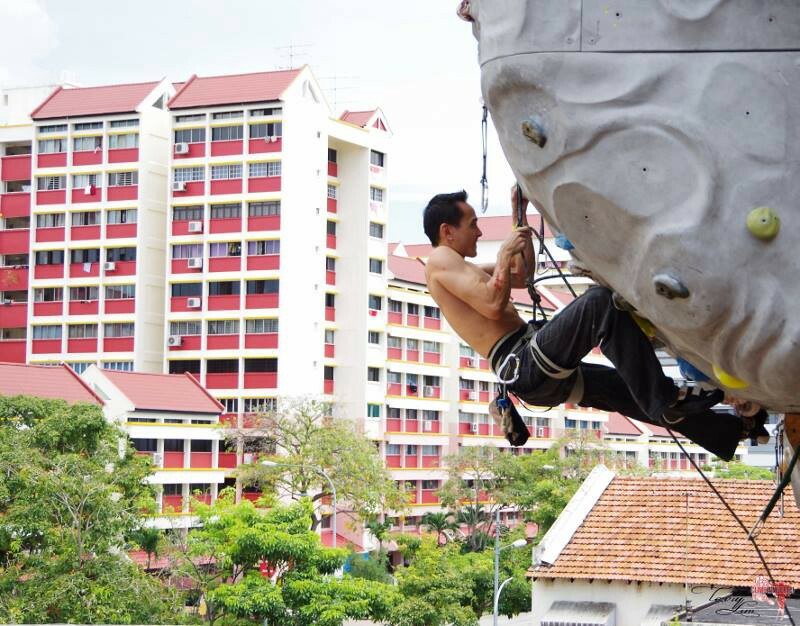 Climbing can be done in a gym (sport) or outdoors (rock). In the latter, the holds are naturally occurring rock features. 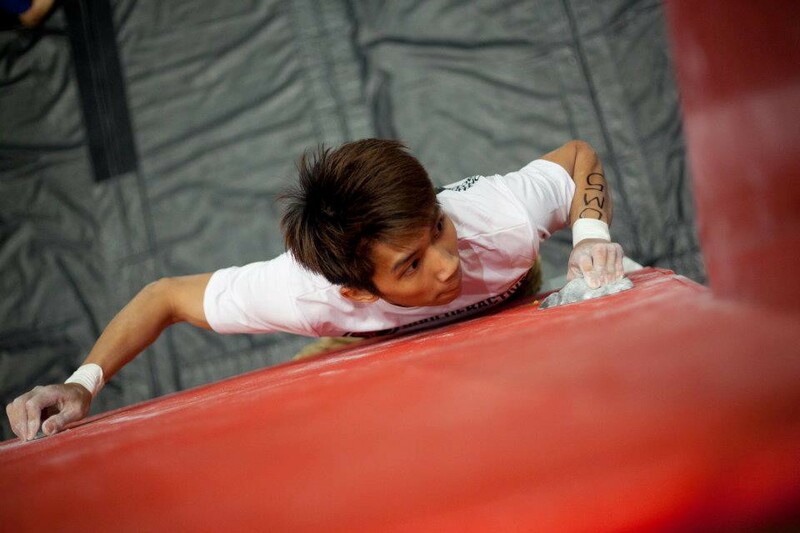 The incline and height of the wall, position and shape of the holds define the difficulty of the route. While an element of speed is involved, climbing is ultimately about getting to the top of the route. It does not matter how fast you complete it, nor how many attempts you take to do so, as long as you finish it in one go without falling. There are a few terms associated with completing a route, namely on-sight and red-point. “On-sight” refers to a climber completing a route the first time he or she sees and attempts it. “Red-point” refers to completion at any other time after the first attempt. There isn’t a distinction between completing it on your 2nd or your 514th — they are both considered “red-pointing”. The thing is, as much as it sounds awesome to “on-sight” a route, it simply means you chose a route that was too easy for you. You could “on-sight” routes with bars for handholds the whole day and no climber will give a hoot about it. Climbing is inherently dangerous. We have seen or heard our fair share of twisted ankles, broken bones and even the occasional tragic deaths. When you are 5 stories up with nothing but a harness and a 10mm rope between you and certain injury or death, you tend to get the jitters. Fear in climbing comes in various forms. The most common objection I get for refusing to climb is a fear of heights. Fear of heights or the fear of falling is a legitimate fear that even the best climbers have. The thing about fear is how as you get better at climbing, a move that used to make you tremble becomes one that barely deserved an after-thought. Fear is really a manifestation of what we imagine to be reality. But if you had performed your safety and equipment checks, fear becomes nothing but a figment of your imagination. And when you make the jump or the move and you nail it, you feel silly that you gave fear so much more credit than it deserves. This is similar to how we look at a challenge in life and shrink away from the sheer magnitude of it. We tend to overestimate the fear. Fear of failing when you haven’t even tried or the fear of embarrassment when people hardly even care. Fear holds you back. It handicaps you. But the moment you overcome it, it is liberating. After the moment, it becomes thirst, motivation to relive the moment. This is the same when we look at life. Every major choice we make is defined by how we overcome the associated fear. How can something as simple as breathing be an important lesson in climbing or in life? Without it, we can’t survive. But I am talking more than just passive sub-conscious breathing, I’m talking about mindful and self-aware breathing. Breathing is fundamental to every sport — your muscles feed off the precious supply of oxygen that comes with every breath. Different sports require different breathing techniques —timing your exhales with your weight lifts or taking slow controlled breaths in yoga. When it comes to climbing, the problem isn’t really breathing, but rather NOT breathing. Have you realised as you deal with fear or anxiety, you unconsciously hold your breath or that it gets fast and shallow ? That crippling sensation often renders a climber paralysed and deprived of oxygen. The less oxygen, the faster your muscles fatigue and the greater likelihood you will fall. On the other hand, slow and deep controlled breathing calms you down and flushes the body with oxygen. To finish a climb, you have to breathe consciously. Technical Note : There are 3 parts of your brain that controls breathing — the medulla & pons, the cortex and the hypothalamus. The medulla & pons sends signals to the respiratory muscles and controls involuntary respiration. The cortex controls voluntary respiration, breathing that required deliberate action, like singing or blowing a candle. The hypothalamus is your command center and in times of stress, it triggers a “fight” or “flight” response. “Fight“Flight” responses corresponds to shorter, shallower breathing or halted breaths. Breathing is really either voluntary or involuntary, conscious or sub-conscious. As with life, we need to be conscious of what we are doing, live the moment but be present in it. You don’t finish a route on your first try. If you do, you aren’t trying hard enough. It’s not an achievement, it’s a warm-up. In climbing, we expect to fall and repeat, and fall and repeat. It can be frustrating, but when you string the moves together and get a little bit closer to completing the whole route in one go, you start to reap the fruits of your labour. When I first breached a 7 grade on the wall, it took me 3 full months of trying that same route (not to mention the 2 years of climbing lower graded routes). On my first attempt, I had to be hauled up for half the moves. It was a painful process.. Each failed attempt was initially difficult to swallow, but I gradually accepted it as part of the process. As I got better and felt more confident about red-pointing the route, I managed my expectations and just kept going at it. The day I finally finished it was just like any ordinary climb but the top was sweet and exhilarating. There are 2 broad lessons here. One : If you succeed in something the first time you tried it, you haven’t really tried at all. This isn’t a lesson for those who have failed but kept trying. We heard that many times over and I’m not going to bore you with it. This is a lesson for those who haven’t failed. When was the last time you pushed so far that you failed? Are you in your safe zone? So think about where you are today, whatever it is you are doing— how hard did you push to be where you are today? Did you fall and stumble to get here? I’m not talking about the occasional exam you might have to take two or three times to pass, nor am I talking about the interview that you never heard back from. I’m talking about a setback, a real obstacle that got you questioning whether you really want it. Two : Falling is part of the process. You heard this before “Failure is the Mother of Success” or “Try, try again”. The layer I want to add is, for every failed attempt, walk away with a lesson. Turn that lesson into knowledge and improve. Your next attempt should bring you one step closer. If you think getting to the top of the climb is doing so in a single blitz of energy, you can’t be further from the truth. The best climbers know when to rest and more importantly, how to rest. How can you hang off from something and still be saving energy? The trick to resting in climbing is to understand how your muscle burns up fuel, precious oxygen. The constant contracting and relaxing of your arm muscles depletes it of oxygen faster than simply hanging. So it is important to relax the arm even if you have to hang off something. Furthermore, when you hang from one hand, your other hand is free to perform re-oxygenation exercises like arm-shaking (yes, that’s what we are doing when we are on the wall and flailing our arms about). Resting is probably the most understated ability in all endeavours. It may be counterintuitive, but a well-timed rest goes a long way. 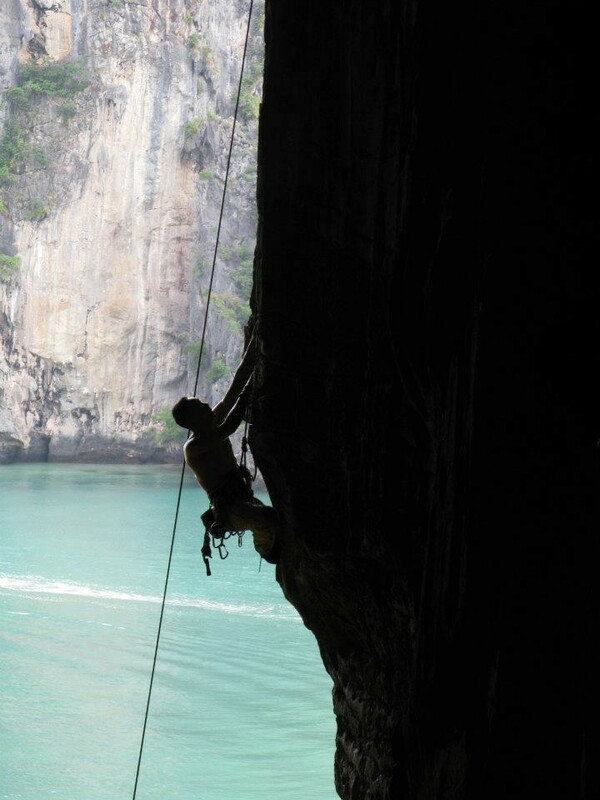 My favourite lesson from climbing is how it is a true test of yourself. There is no one else you are competing with, just you against the wall. There are many ways to the top, and different climbers will find different moves to make it. What works for one climber doesn’t necessarily work for another. Climbers like to provide other folks with climbing advice we refer to as “beta”. Beta ranges from “avoid the left side halfway up the crag because there’s a hornet’s nest” to “bend your knee lower and lean out on that hold, it’s totally do-able”. While some beta are useful, others are simply an opinion of the other climber, it may not be factual but taking that advice may affect the way you approach that climb. The take-away here is simple. Carve out your own path and destiny. In life we get too many mixed signals from our parents, friends, colleagues and media. In all that mess, we might get too caught up with comparing how we are faring better or worse off than others. We can’t control the fate or success of others, not that we should. What we can control is our own paths. Learn to challenge yourself. The only person you should outdo is yourself. There are probably many more ways climbing lessons can be applied to life but I choose these few as they resonated the most with me. Each to their own. Climb On and Climb Strong.